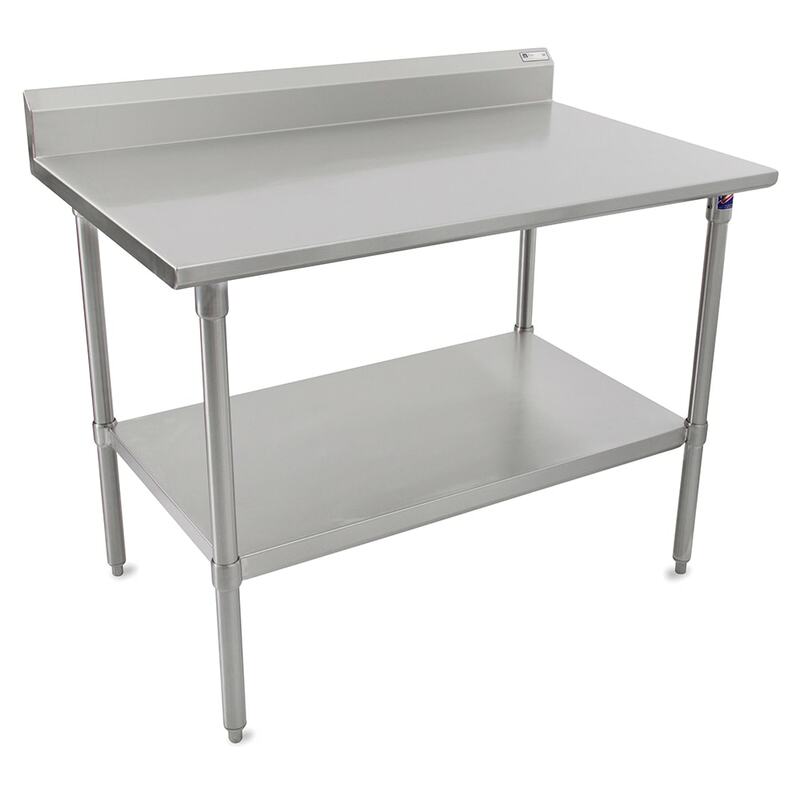 Perfect for preparing ingredients and using small equipment, the John Boos ST6R5-3048SSK work table measures 48 inches long by 30 inches wide. Including the 5-inch backsplash, it measures 403⁄4 inches tall, so it is the ideal height for working in kitchens. The tabletop is reinforced and welded for durability, as well as sound deadened to reduce noise levels in loud areas. Made of stainless steel, the unit is heavy duty and easy to clean. 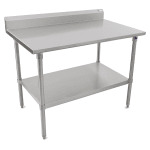 For placement against other units, the John Boos ST6R5-3048SSK work table has 90-degree turn-down edges. The front edge has a stallion design that eliminates sharpness that could lead to injury. In-depth information on work tables and equipment stands is available in our tables and stands guide.